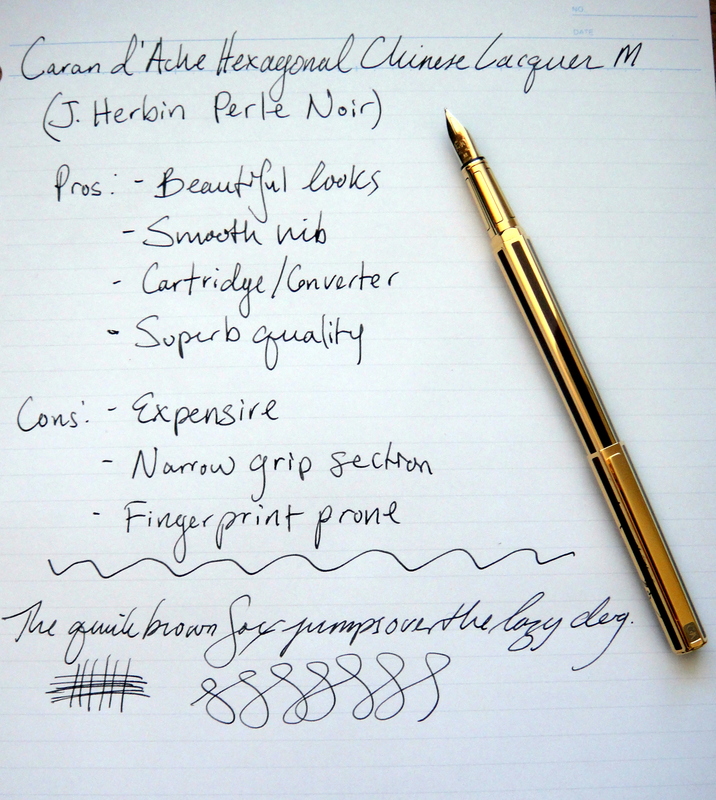 The Caran d’Ache Hexagonal Ecaille Chinese Lacquer fountain pen is an odd ball in my collection. I don’t like skinny pens nor do I like fingerprint prone pens and pens with metal sections….this pen is all of these things. So why do I have it you ask? It was the price. I saw this pen new old stock in a small pen shop in the Netherlands and I just couldn’t let it go. I have decided to use a more standardized review process for nicer fountain pens with six categories and a scale of 1-5 (5 being the best and 1 being the worst). It is hard to see the marbled red look of the Chinese lacquer in the pictures. 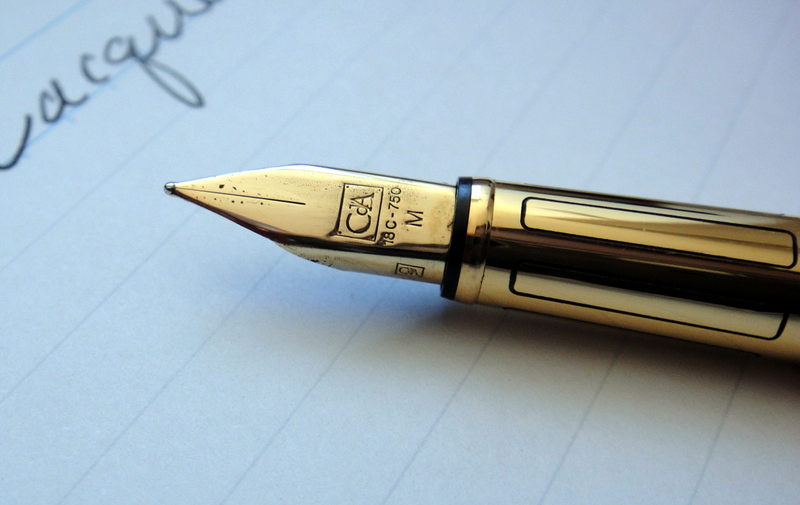 The Hexagonal weighs in at just under 27 grams which is neither light nor overly heavy for a normal fountain pen. 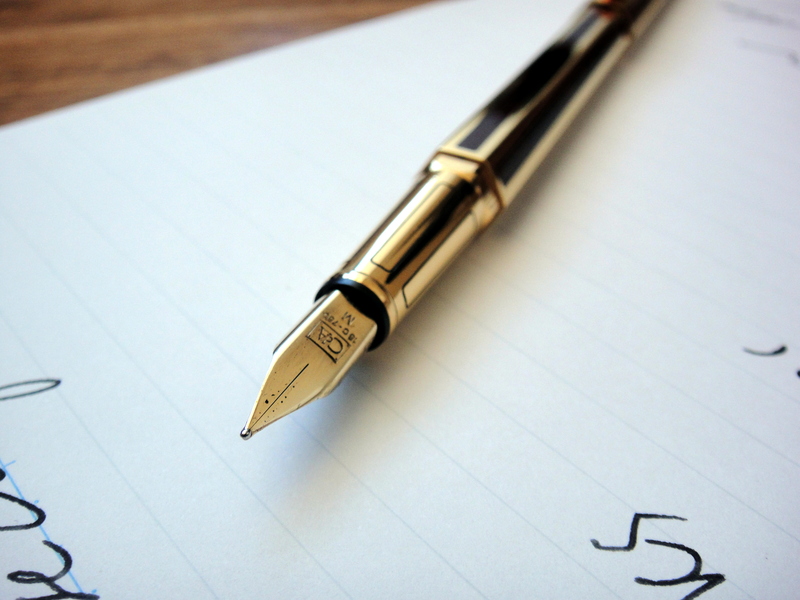 The pen measures 5.25″ capped, 6″ posted and without the cap the pen measures 4.75″. At its widest point it is less than half an inch thick and the grip section measures about a quarter of an inch thick. The weight and the length of the pen are all excellent but the width makes this pen uncomfortable. 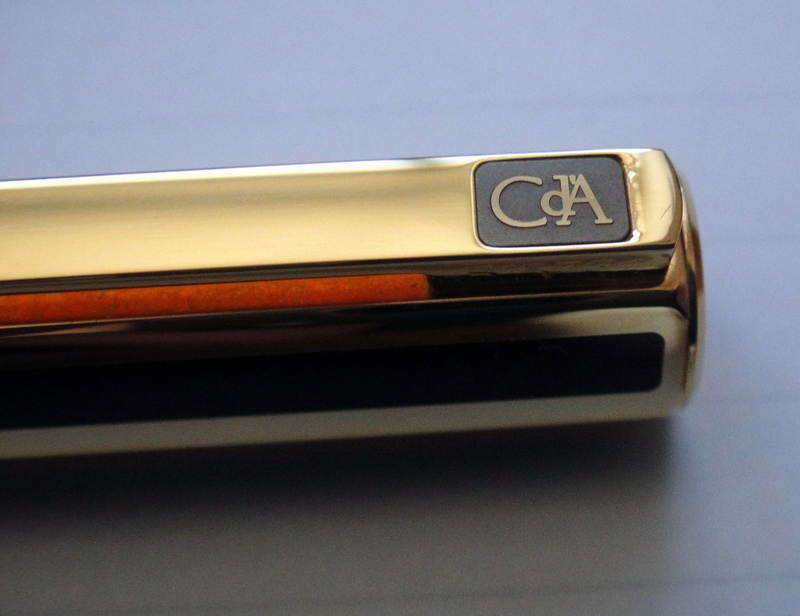 What Caran d’Ache did was made a capped version of the Ecridor pencil which has the same girth as a pencil wooden pencil. Keeping the same form factor with a capped pen means shrinking the grip section width and this is a serious problem comfort-wise. The smaller the girth, the more pressure needed to control the pen and when you consider that this pen weighs many times more than a wooden pencil the result is not brilliant.